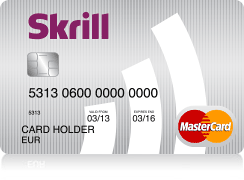 Skrill offers two different types of MasterCard for your Skrill account. You can use the standard plastic Skrill MasterCard or the Skrill Virtual MasterCard to access your funds and spend your account balance. Find all information and details about both types, their limits, fees and benefits for VIP customers. You can easily access your savings by using the Skrill MasterCard without worrying about spending too much money. Your available balance with the prepaid MasterCard is the same as in your digital wallet. Compared to other eWallet providers the fees for the Skrill MasterCard are very low. Skrill VIPs don’t even pay Skrill MasterCard order and usage fees. You can order and activate your prepaid card under “Skrill Card” after logging into your Skrill (Moneybookers) account and the card is available in 4 different currencies (USD, EUR, PLN and GBP). The following table shows you more about the limits and difference between regular Skrill and Skrill VIP customers. If you cannot withdraw cash from an ATM by using your Skrill MasterCard and get an error message, please check your available balance in your (Skrill) Moneybookers account first. Also, please keep in mind possible foreign exchange fees and your actual 24h ATM limit which you can check at “My Skrill MasterCard”. If you still can not find the problem, please try again a little later or at another ATM. In about 95% of the cases, those standard error messages occur if the ATM is not able to connect to the MasterCard server in time. Different to other MasterCards your Skrill MasterCard is a prepaid card and the ATM has to check your available balance first. If the ATM is not able to get the connection fast enough a standard error message appears on the screen. In case it does not work later or even the next day, please send an email to vip@skrill.com and ask for possible technical problems to be addressed or for your account to be manually checked for possible fraud. If fraud occurs, Skrill will refund your account by the full amount within ten business days. 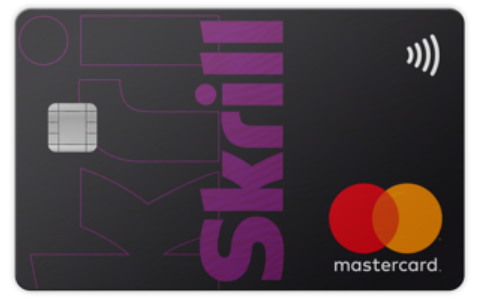 Please read paragraph 8 of the terms and conditions of Skrill MasterCard for detailed information. The Skrill Virtual Prepaid Mastercard allows you to use the funds in your Skrill Account to make online purchases wherever a Mastercard is accepted. As it is a virtual card, it cannot be used offline. Your virtual card can only be used for your online transactions. The major benefits is, you can decide how long you want it to remain active which will give you an extra level of security and avoid potential fraud compared to the regular plastic Skrill MasterCard. The following table gives you a quick overview about the available currencies, their limits and the fee for the card. Please note, to be eligible to order the virtual card you account has to be registered to an address from the EU (SEPA Region) and it also has to be fully verified. If your account is not fully verified yet use our fast eWO verification service to remove your limits and get verified within 1 day. The first virtual MasterCard for each customer is free and to order the card simply click on the “Skrill Card” option on the left-hand side of your Skrill Account and choose “Add a card“. You can also have multiple cards, but each additional card comes with a fee of 2,50 EUR in addition to a 10 EUR annual service fee. Since the end of September 2016 Skrill does not offer MasterCards for residents of NON-SEPA countries any longer and those rules also apply to the Skrill Virtual MasterCard. We have summarized all details for you. Besides the fact that those clients are not able to receive a new Skrill MasterCard, all other services will stay available. Please contact us if you have any further questions about the Skrill Card or Skrill in general. We are there to help you.